Sequoia and Kings Canyon National Park located up in the High Sierra in California is the perfect spot for outdoor adventures, two parks in one mean there is so much to explore. Some of the world’s tallest trees reach up towards the sky, alpine meadows blossom with wildflowers and views of the Sierra Nevada Mountain range are out of this world. Cover the main sights in just a few days or stay for longer and get out into the wilderness on a backcountry hike. Over 1,000 miles of walking trails cater for everyone from short strolls to full day and overnight hikes, what better way to explore this magnificent area than on foot. To see the General Grant Tree up close follow the General Grant Tree Trail, at only 1/3 mile in length it’s a straightforward loop. Known as the nation’s Christmas tree General Grant is huge and the third largest tree in the world. Admire this giant sequoia, take a look at the Gamlin Cabin and walk through the Fallen Monarch. The Congress Trail is a nice hike past some impressive sequoia groves. Follow the trail to the General Sherman Tree, the largest tree by volume in the world, it is humongous! Continue on the Congress Trail to see more of these gentle giants but without the crowds. For endless views of mountain vistas and Kings Canyon take the short but steep stroll from the car park up to Panoramic Point, with benches placed at perfect viewing spots it’s a great place to have a picnic at 7,520 feet. Hike to Tokopah Falls through a glacial valley from Lodgepole campground. 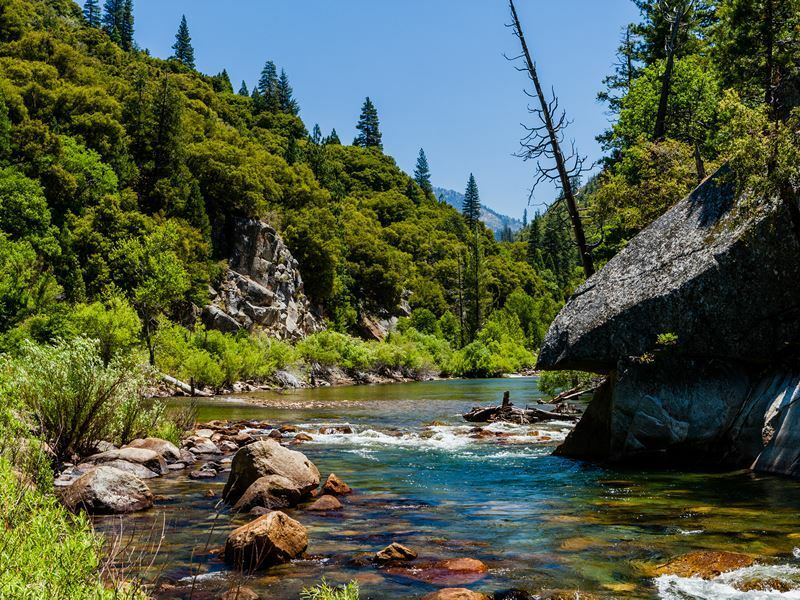 At 3.4 miles long this hike passes through some incredible scenery, following the Kaweah River the trail passes through forest surrounded by towering granite cliffs, alpine meadows and ends with a rocky clamber. Once at the falls admire their beauty and look back down the valley for some spectacular views. Watch out for black bears and marmots here, you could be lucky and spot both. Mist Falls trail is a lovely route to take; the impressive falls rush over and down smooth rock, and into the river below. Late spring and early summer are the times to catch the water flow at its peak. Choose to stop at the 4-mile mark at the falls or continue on for some impressive views of the canyon. Look out for black bears on hikes in Sequoia, often spotted in warmer months foraging in the undergrowth or hunting for berries and acorns. If you spot one keep quiet and at a distance, black bears have a mild temperament and are often too busy to even notice humans, leaving you the chance to take a photo and enjoy watching these beautiful creatures in their natural habitat. 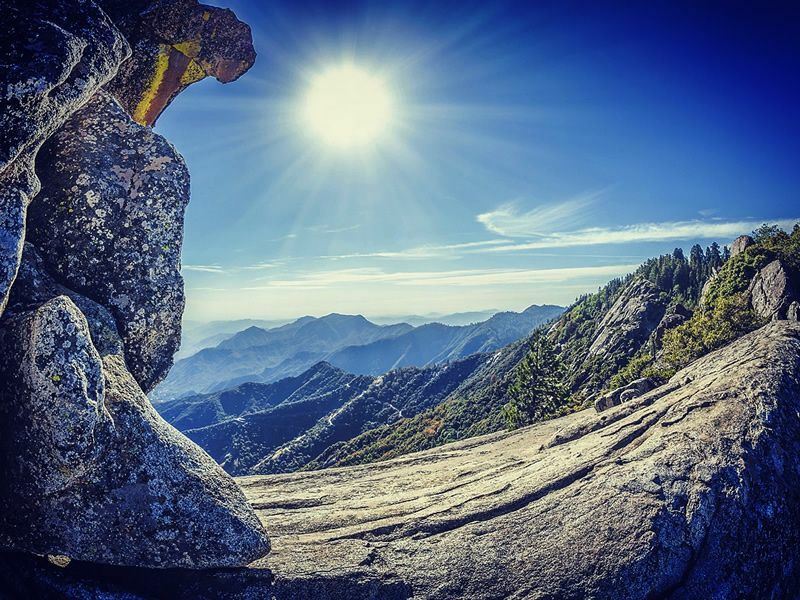 Moro Rock is a must do when visiting Sequoia and Kings Canyon, this huge granite dome shaped rock rises to an elevation of 6,725 feet. 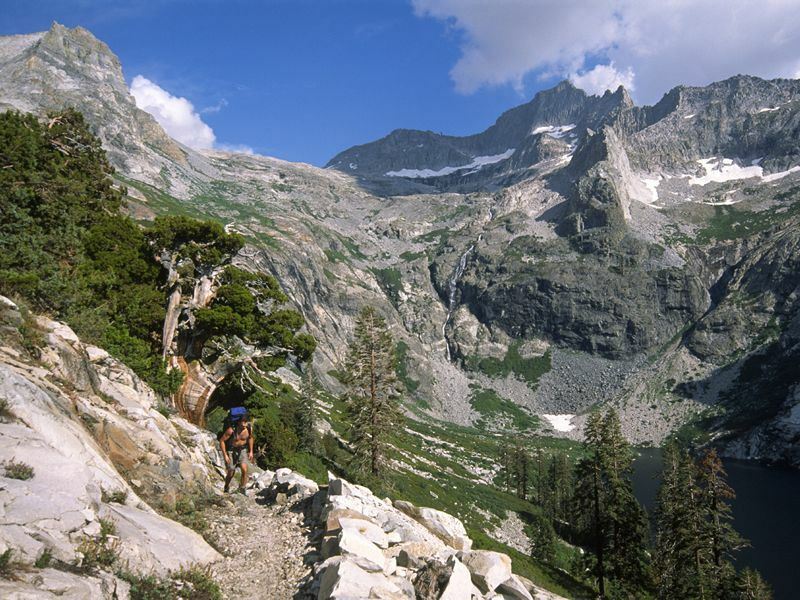 The 400 steps make for a challenging walk up, especially at high altitude; the climb is well worth it though as the reward at the top of uninterrupted views of the High Sierra mountains are beautiful. Look out for Mount Whitney and the Great Western Divide and views of Highway 198 snaking and winding up the mountainside into the park far below. Driving though a fallen tree is one to tick off the bucket list here. Get up early to have the Tunnel Log all to yourself. This sequoia fell in 1937 and was 275 feet high; it is thought to be over 2000 years old. The tunnel through it is 8 feet high and 17 feet wide. If it’s not too busy, get someone to jump out and take a photo of you driving through, the road loops back round so it’s easy to drive through more than once. 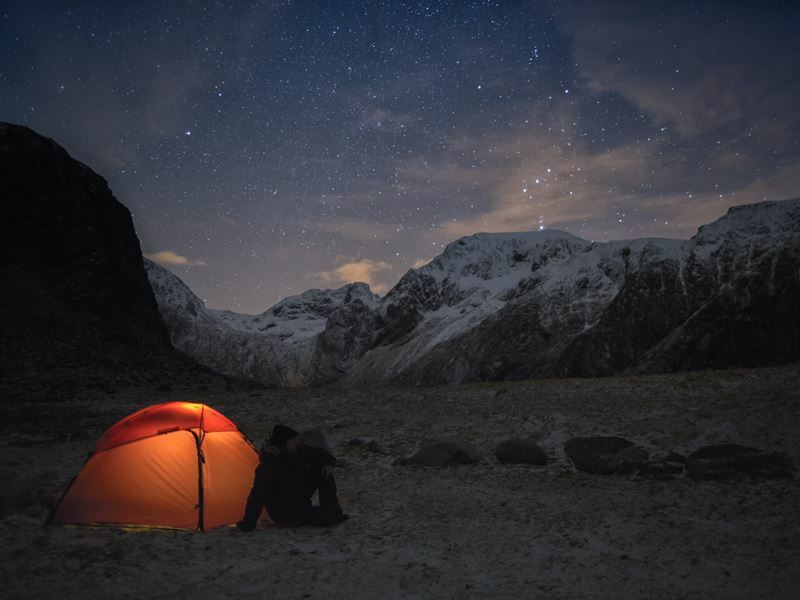 If you are staying over night in the park take some time to gaze up at the night sky, with hardly any light pollution the Milky Way can be seen with dazzling clarity. Learn more on a ranger led stargazing walk and hear from experts such as astronomers and astronauts at The Dark Sky Festival held during the summer. 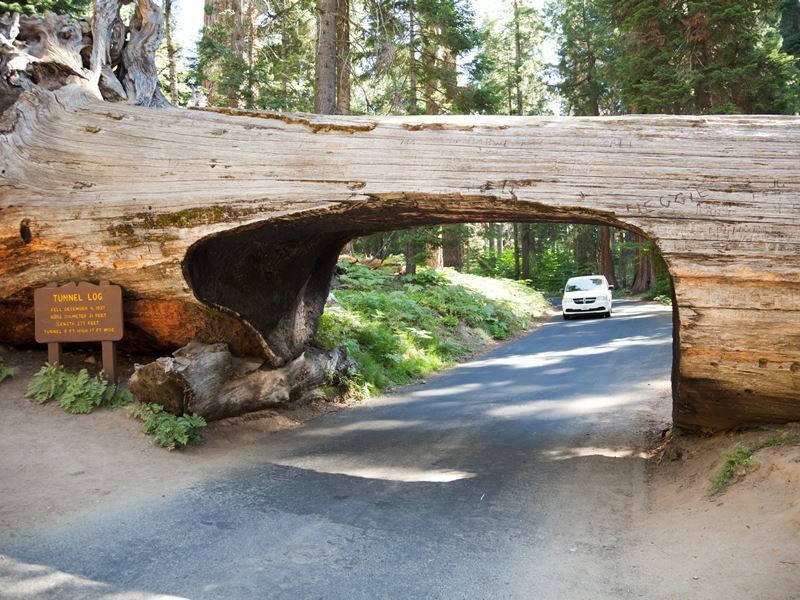 Cedar Grove in Kings Canyon is a very scenic drive from Sequoia, the 30-mile stretch weaves down through the canyon so be sure to stop and take photos along the way. Once at Cedar Grove visit Roaring River Falls, watch the water cascading along carved out rock and witness some fantastic mountain views. Zumwalt Meadow Trail is a gentle loop around a pretty alpine meadow alongside the Kings River, a nice place to take in the scenery with a picnic. The Giant Forest, home to the General Sherman Tree was named by John Muir in 1875. 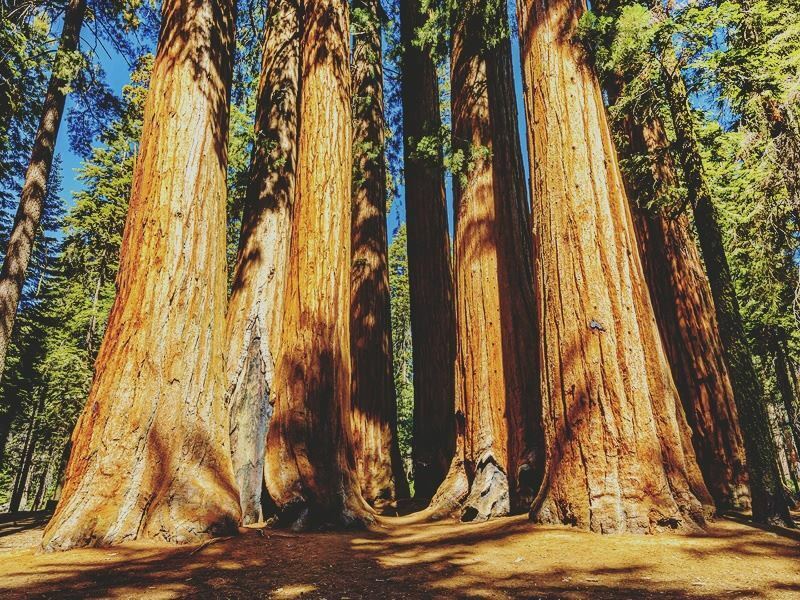 With over 8,000 sequoia trees this is the place to get up close and personal with these giant beauties. Visit the Giant Forest Museum to learn more about sequoias and how to identify them. Sequoia and Kings Canyon can be visited all year round although winter snowstorms can cause road closures. If driving during the winter months be sure to have snow chains in case of icy and snowy conditions. The summer brings more crowds but all roads and campgrounds are open. Car is the easiest way to get around in the park, while walking is the best way to get up-close and experience all the natural beauty of the mountains and forest. There are shuttle buses, which run from Visalia and Three Rivers into the park. During the summer months a free shuttle runs within the park to all the main attractions. There are a variety of accommodation options in the parks, Grant Grove, Lodgepole and Cedar Grove are the main ‘village’ areas, each with a visitor centre, shop and food outlets. Lodges, cabins and campgrounds are all located within these areas. 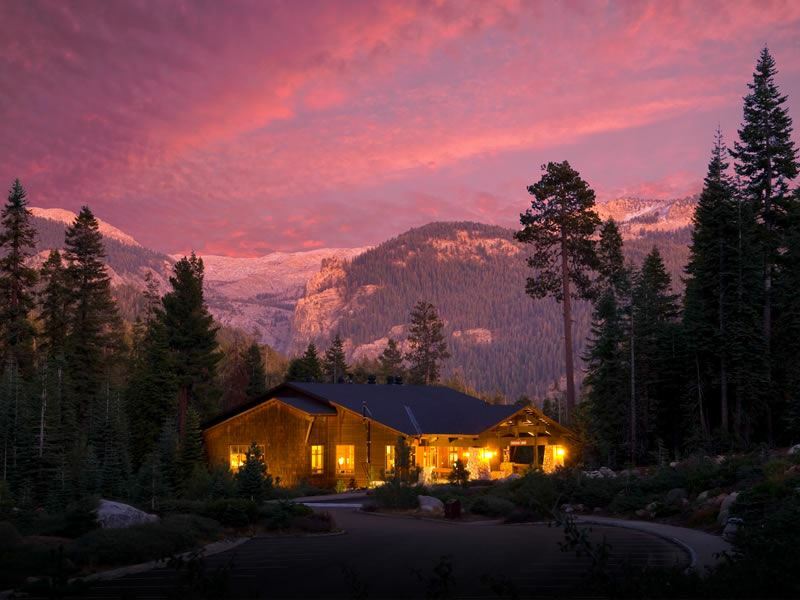 Wuksachi Lodge in the heart of Sequoia is in a prime location near the General Sherman Tree making it an ideal base to explore the highlights of the park. The traditional log cabin makes Wuksachi Lodge the ideal mountain retreat. Warm up and get cosy by the fireplace during the winter and take in the beautiful surroundings at an elevation of 7,200 feet. The lodge has Wi-Fi, which is useful with little to no signal in the park boundaries. Grant Grove Cabins are another accommodation option. These rustic log cabins are basic but equipped with everything for a comfortable stay. Duplex cabins feature two double beds and a bathroom, while others have shared bathrooms and an outdoor log burner, perfect for cooking under the stars. Sequoia and Kings Canyon can be explored at any time of the year, go snowshoeing during the winter and cook on a campfire during the summer while watching out for shooting stars in the night sky. Admire giant sequoias and watch the sunset over the mountains after a day of adventures. Whatever you choose to do here it’s sure to be a memorable trip.